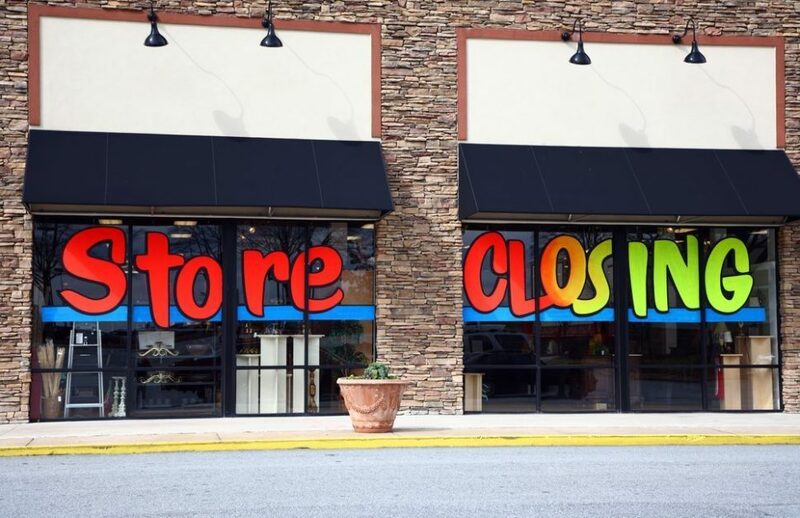 Brick-and-mortar retailers close down in droves. Unlike Blockbuster, companies like Netflix and Petsmart (with Chewy) found ways to stay relevant. 2017 might spell doom for retail stores as online shopping and e-commerce take hold of the consumer market. Many stores synonymous with the 20th-century American mall are closing down, and many others are struggling to stay relevant. Accoring to the brokerage firm Credit Suisse, more than 8,600 brick-and-mortar stores could close their doors in 2017, and that’s over 2,000 more than the worst year for retail on record, 2008. As we’ve discussed before, many of these businesses follow a similar evolution of reaction to the changing market environment. It begins with the business in denial of market demand, then, gradually, the business will make concessions to market demand in order to stay afloat. Perhaps one of the greatest examples of a retail business failing to adapt to new market demands is Blockbuster. Beginning in 1985 in Florida, Blockbuster grew to be the largest video rental chain in the U.S. by 1988. However, just as it grew it also started losing customer satisfaction. Strict late fees and bland, warehouse-style stores did nothing to help the business move into the future. It repeatedly overlooked a foray into e-commerce and even considered buying the long-shuddered Circuit City retail outlet in 2009. The insistence on maintaining a vast retail network would eventually lead to Blockbuster’s downfall. But it had a little help from Netflix, which began in 1997 and after a little trial-and-error, attracted a large consumer base with their monthly subscription, unlimited rentals, and no late fees. Netflix also took advantage of new applications of algorithms and Big Data analysis, able to recommend movies to customers based on preferences that the “convenience store” feel of Blockbuster with which it simply didn’t seem to concern itself. As Netflix strengthened its distribution capabilities, Blockbuster stood still. Netflix subscriptions rose and Blockbuster stores were less and less visited. Then, Redbox started offering movies for $1 a night at the most convenient locations. Vultures were picking the flesh off of Blockbuster’s bones. Blockbuster filed bankruptcy in 2010. then DISH network tried a last ditch revival effort, which failed, and was followed by the closing of all retail stores and the laying-off of thousands of employees. So what should retail stores hoping to survive do? Case in point: PetSmart and Chewy.com. Earlier this month PetSmart purchased the incredibly successful online retailer, Chewy, for a record $3.35 billion USD. Reporting nearly $900 million USD in revenue last year alone, Chewy is one of the fastest growing online retailers on the planet. Not unlike Netflix, Chewy.com built a strong following simply by offering fast shipping, a gigantic selection, and excellent customer service. PetSmart was purchased by a private group of equity investors led by BC Partners in 2015, and since then the new ownership has struggled to find ways to adapt the traditional retail side of their business. According to a regulatory filing, Bebe, women’s clothing retailer, plans on closing its stores by the end of May. What should they do? We here at Edgy would imagine that converting into an e-commerce outlet and utilizing new marketing concepts like streaming fashion could help keep retailers like Bebe above water. Heck, with a little added AR, you could even see how clothes look without needing to go anywhere or ship anything. What will happen to malls if all of these brick-and-mortar retailers close their doors? Surely, there will always be a demographic of people who prefer to window shop, browse in person, and really feel a product before purchasing. Will these people then turn to community garage sales or second-hand shops? Even with apps designed to make buying and selling used goods easiest, like Poshmark, those same people will still want to shop the same way that they would for brand new gear. What will happen to all of the brick-and-mortar retail employees? Can they be retrained and “repurposed” as online customer service reps? Just as skilled assembly line workers have to adapt to the automation of the automobile industry, these retail employees will have to either develop new skills or adapt their current skillset with a more relevant profession. Do you prefer shopping in person or online?